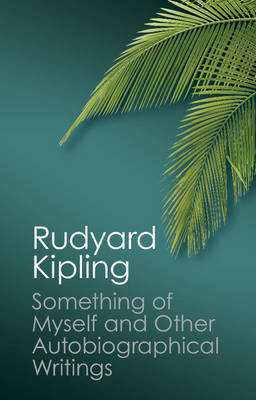 Rudyard Kipling has been described as 'one of the few complete originals in English literature'. In his last work, Something of Myself, he reflects on his life and the basis of his art. Yet paradoxically this ostensibly autobiographical work (as an early critic pointed out) actually discloses very little of himself. Thomas Pinney's revealing edition now uncovers the extraordinary extent to which Kipling's account of his life fails to match the biographical facts, in a series of selections, omissions and distortions. Illustrated with Kipling's own satirical drawings from the manuscripts, and brought together with his other autobiographical writings (some previously unpublished), this fascinating book sheds new light on the intriguing relationship between Kipling's life and work.